Created by Caio Mattoso and Rodrigo Mendes (W+K Portland), this Nike commercial and this Nike billboard went to the world to honor Eliud Kipchoge, the fastest marathon runner ever. Both pieces are part of the CRAZY DREAMS campaign that celebrates the 30th anniversary of the slogan Just Do It. 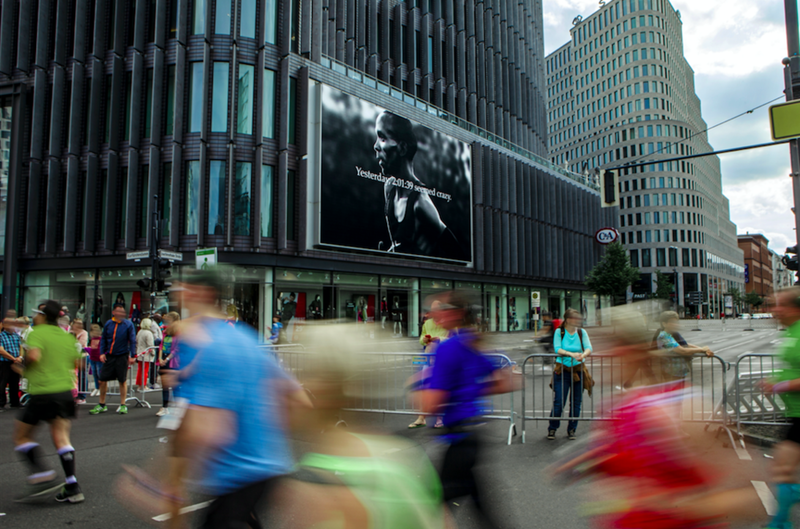 The commercial and the billboard were released taking advantage of the Berlin Marathon sports moment, just after the campaign launching with Colin Kaepernick. Criada por Caio Mattoso e Rodrigo Mendes (W+K Portland), esse comercial de Nike e essa outdoor de Nike foram ao ar para homenagear Eliud Kipchoge, o maratonista mais rápido de toda a história. As duas peças fazem parte da campanha CRAZY DREAMS, que celebra o 30º aniversário do slogan Just Do It. Tanto o comercial como o billboard foram lançados aproveitando o momento da maratona de Berlin, logo após o lançamento oficial da campanha CRAZY DREAMS com o jogador de futebol americano Colin Kaepernick. Fastest Ever. As part of the “Crazy Dreams” Just Do It campaign and leading into the Berlin marathon, this film is a reminder that even a world record can be seen as part of the journey when you dream crazy enough. The moment Kipchoge crossed the finish line we launched a giant image of him by the side of the track, with a headline that called out the record breaking time, inspiring other runners as they approached the final stretch.